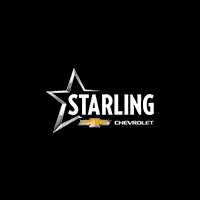 Thank you for making your way to Starling Chevrolet, your certified Chevrolet dealer serving drivers throughout Mount Pleasant and the surrounding areas. At Starling Chevrolet, we want you to be a lifelong customer because of our unbeatable customer service, wide selection and hassle-free car shopping and servicing experience. We boast 100+ years of experience in the car industry and we use that background to help improve every customer’s vehicle shopping experience with us. We don’t just have employees at Starling Chevrolet – we have a passionate, dedicated team of Certified Sales Specialists. Our specialists are here to help you with every step of the buying process and answer your important questions. Our team works hard to provide the honest, respectful, quality experience that our customers deserve. Not only do we have a great team of auto experts here to help you with purchasing and servicing your vehicle, but we also have a huge selection of new Chevrolet vehicles and a wide inventory of pre-owned cars, trucks, SUVs, crossovers and vans. We know everyone is looking for something different in a vehicle so we provide a great selection of vehicles for our customers to choose from. Make the short drive for big savings. We are the home of the Low Price Promise and we always stand by it. We will beat any competitor’s price at anytime! * In addition to this promise, we offer a variety of financing options. Find out more and fill out a form to pre-qualify for auto financing and loans here.